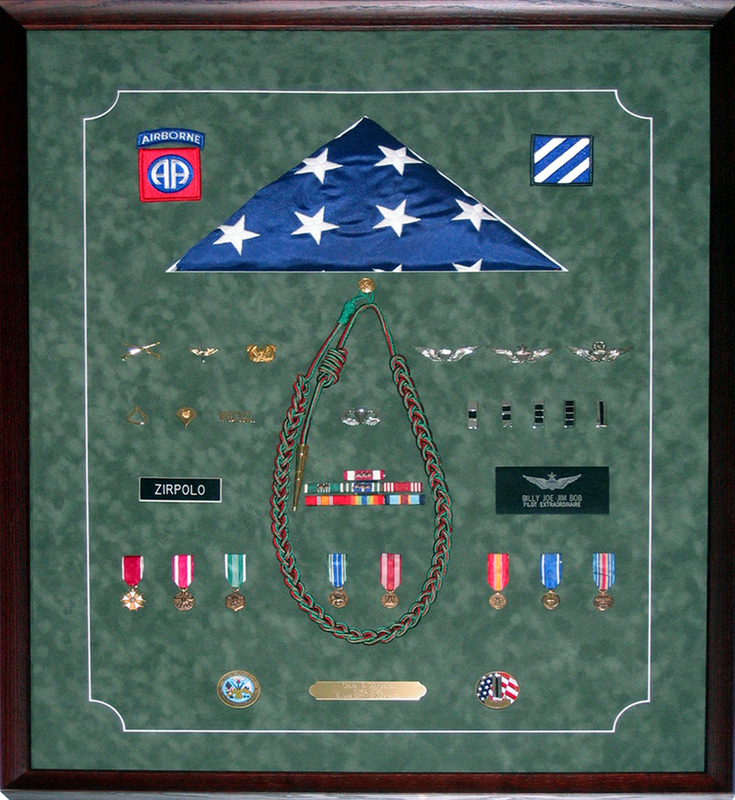 Custom framing is the main stay of our business. You will find our staff helpful and informative, while providing the highest level of quality. We take our work very seriously and want our customers to be happy and satisfied. 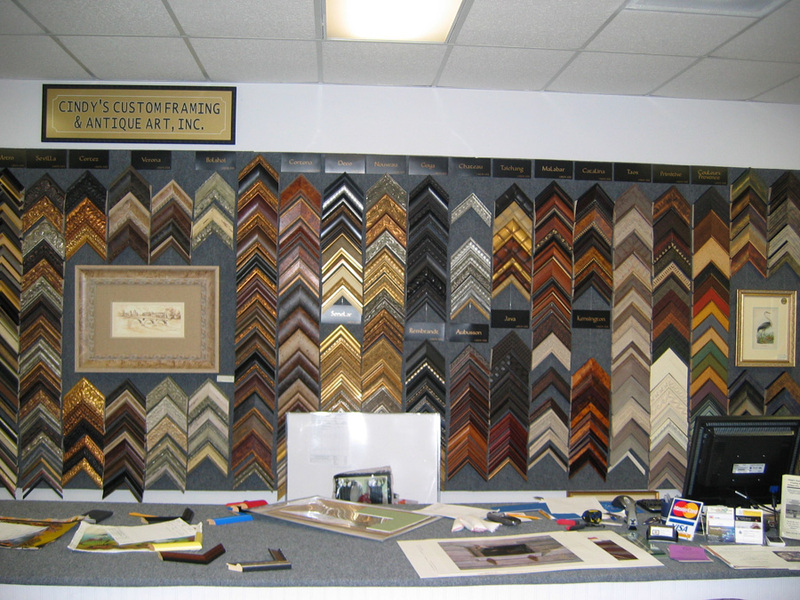 This is the reason we offer many framing options, all designed to enhance the beauty of your art. We carry a number of ready-made frames for those "rush" orders that cannot wait on a custom frame to be built. We stock a number of frame profiles which allows us to provide a quick turnaround for rush projects. Another one of our custom framing services involves the "repair" of damaged frames. This may include replacing broken glass on a frame that has accidentally fallen. Repairs are done in house. All of our UV glass is cut on the premises to satisfy our framing projects and repairs. 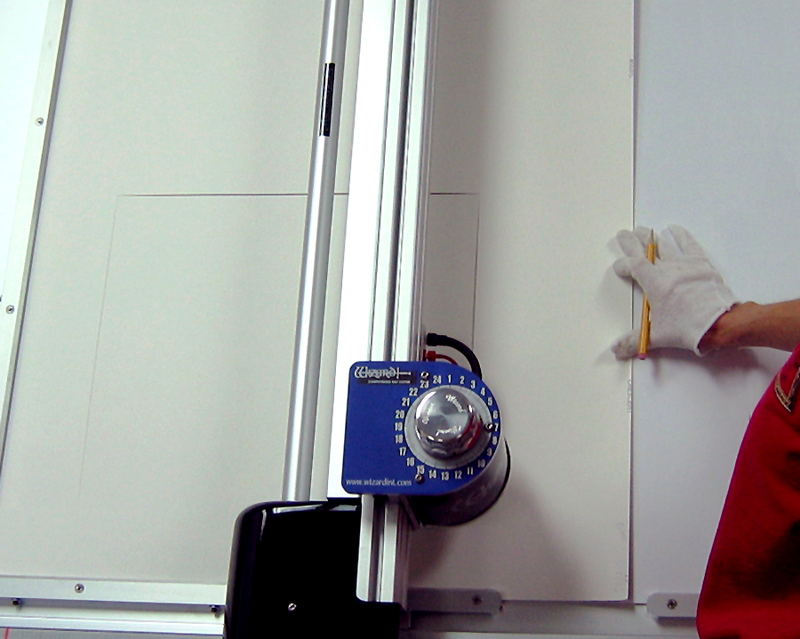 The link to conservation framing will explain our desire to protect your artwork. If you wish to learn more about the products and services we offer, browse the links at the top. Part of the design process involves designing a mat opening that will surround the artwork and allow for an air space between the glass and the image. We begin the mat opening design on a computer linked to a computerized mat cutter. 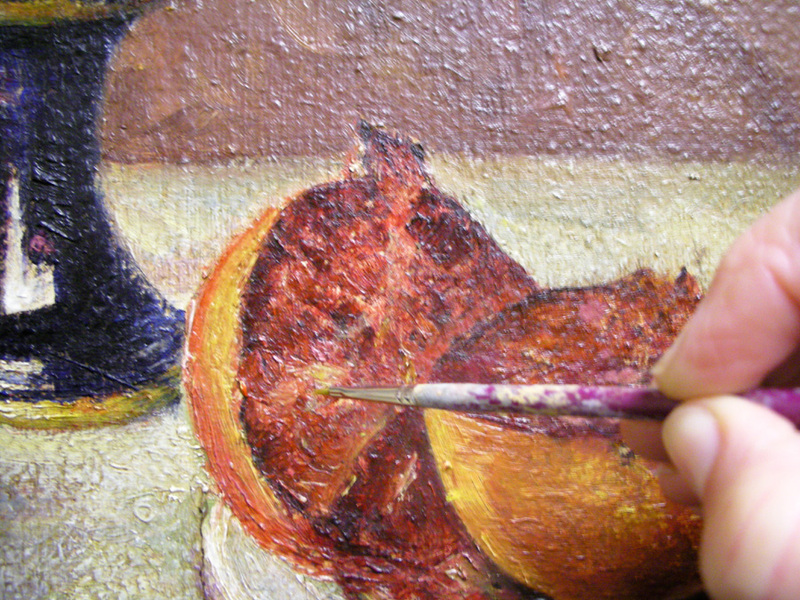 In addition, we can re-mat art that has aged or faded. 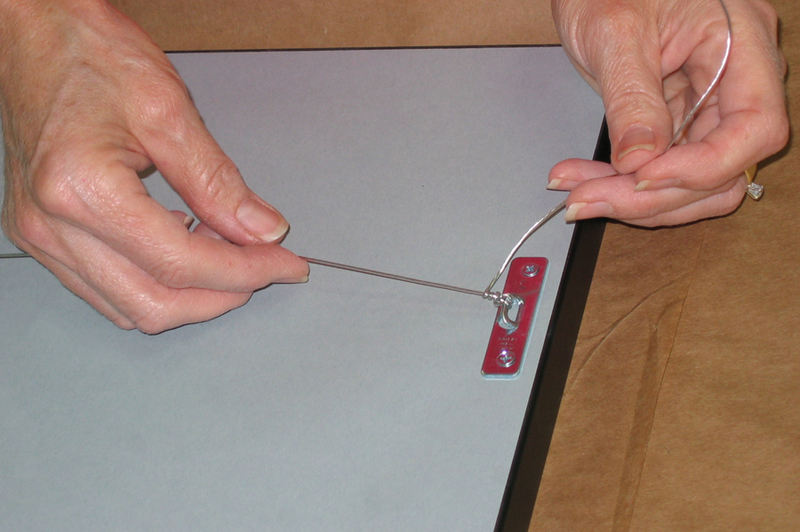 The computerized mat cutter transfers the opening design to the perfectly cut mat. It also allows us to cut mats with multiple openings, shapes, and sizes. 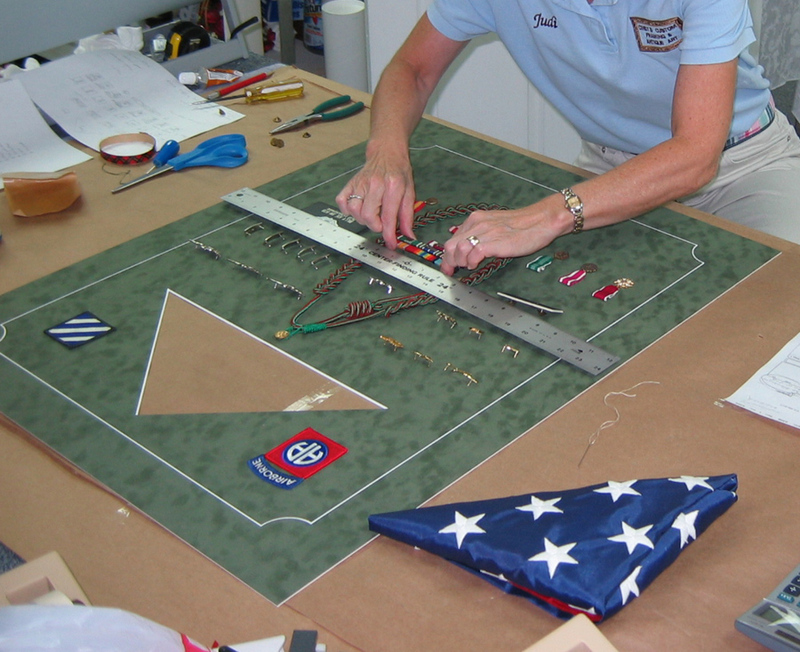 Part of the custom framing process involves the placement of objects, photographs, or artwork into the framed space. Proper spacing and alignment are incorporated into the design to enhance the image or the objects framed. The back of each custom framed piece of art includes (blue) acid-free backing paper to keep out insects and dust. Each piece also has a hanger with plastic coated wire matched to the weight of the framed artwork. See our section Art Gone Bad located under Framing at the top to see what the wrong backing and mats will do to your artwork. The Completed Custom Framed Project utilizing UV glass, and acid free materials. Custom Framing is not limited to an unframed piece of art. We offer many services that will transform a previously framed image into something spectacular! To learn more, please click on:SERVICES, for one or more of the following links: Art Cleaning, Art Restoration, Custom Mat Cutting, Custom Framing, and Design & Consultation. We pride ourselves in providing the highest degree of quality archival materials and workmanship. Over the years, we have replaced broken glass and faded mats. The one thing we noticed is that time in not kind to a poorly framed piece of artwork. Please use the link below to see what happens when conservation framing methods are not followed: ART GONE BAD under the FRAMING link at the top.